The development of innovative solutions is an integral aspect of sustainability at Peters. Our know-how is universal. From development, production, technical service to sales, our customers receive everything " under one roof". 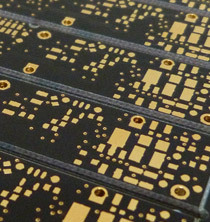 High-tech coatings for the production of printed circuit boards as well as coating materials for the protection of assembled printed circuit boards. For over 30 years, we work in close cooperation with our customers, developing new and practical solutions for the electronics industry . Our highly specialized research and development team is a guarantee of constant new developments and innovative products for the electronics industry.